GeoTeric can be run using either a node locked or a floating license. Please contact us for more information on what options there are. If you have received a node locked license or a "demo" license, simply put it in the License folder within the GeoTeric installation directory structure and it will be picked up automatically. If you have received a floating license and require assistance in setting up the license server, contact us for more detailed information. For further information on how to configure your license for the end user, please download our Quick Guide. 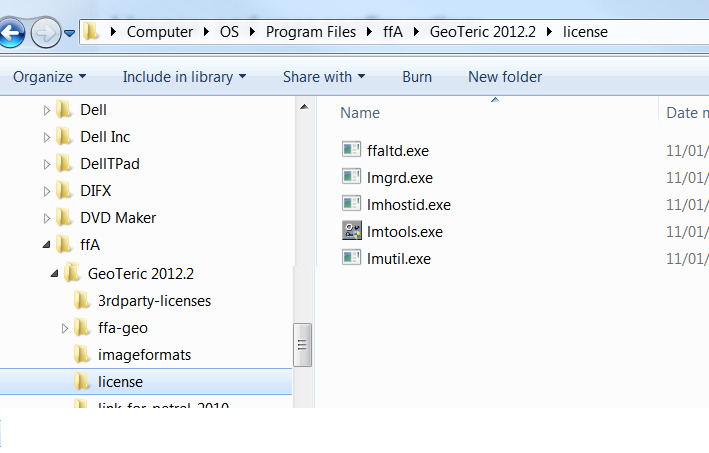 The current version of GeoTeric uses FlexLM v11.12 or later for floating licenses. In order to generate a license for you, we will require the LMHostId (or mac address) of either your workstation (for node locked license) or license server (for floating license).